Oka Farm can trace its roots to Trappist monks who came to Canada in 1881. Originally from France, the Trappists were renowned for their agricultural practices and as early as 1883, they founded one of the first Francophone agricultural schools in Canada. In 1897, they established a poultry yard at the Abbey of Notre-Dame du Lac (commonly known as “La Trappe d’Oka”) and soon thereafter Brother Wilfrid created the first Quebec laying hen, called “la Chanteclerc,” which brought great notoriety to the monastery. Then came Brother Wilfrid who, in 1920, introduced the first pair of pheasants to Quebec, which later led, thanks to Brother Laurent, to recognition of the community as the first pheasant breeders in Quebec. In the 1970’s, the Trappists began decreasing their agricultural production and in 1977 they rented their facilities to a miller. 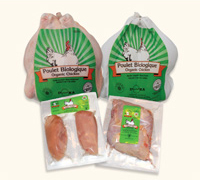 Then in 1980, two visionary young entrepreneurs founded Oka Farm and took over running the poultry operation. Oka Farm was one of the original pioneers in the production and marketing of fine poultry on a commercial scale in Quebec and in Canada. Claude Dicaire, the current president, is one of the co-founders of Oka Farm. Over the years, Oka Farm earned an excellent reputation for the quality of its products, its packaging, its marketing, and its distribution networks. 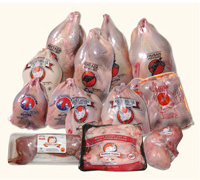 In 1996, Oka Farm ended its poultry farming activities on the Oka site and transferred them to various experienced and species-specialized producers in order to concentrate on the distribution and the marketing of rabbit and fine poultry products. To celebrate its 30th year of existence in 2010, Oka Farm modified its logo to better reflect its current activities. 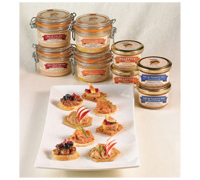 We invite you to discover our high-quality products that have earned a reputation for excellence. 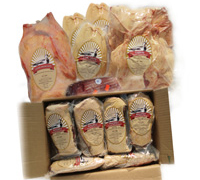 You will find products from Oka Farm in the following supermarkets in Quebec: Loblaw, Provigo, Maxi, Metro and Super C; and in certain specialized butcher shops. In Ontario, they can be found at Loblaws, Sobeys, IGA, Metro, and Loeb. Oka Farm thanks you for the confidence that you demonstrate each time you purchase one of its many products throughout the year.